It is a catering company’s business to make sure that they can provide enough food options for everyone. As such, you are guaranteed to have a broad selection of meal and snack options that will suit the dining needs of all of your event’s guests, whether they have particular dietary restrictions or allergies to consider. Catering delivery is always prepared by professionals who understand the ins and outs of food handling safety. This means that they are true experts who have trained to prepare food in the best possible way for many years. Choosing high-quality catering delivery means that you’ll wow your meeting guests with fresh and delicious catering menu options. Let’s face it: you and your entire team are already swamped with scheduling your meeting or event, finalizing a guest list and preparing the perfect presentation. You simply don’t need to worry about anything else. Planning, preparing and serving food is one of the most time consuming elements of an event. Leaving the food to a professional catering delivery company gives you more free time to work on other, more important aspects of your event. Unlike a professional caterer, you haven’t had the chance to perfect the art of delivering great food for a large group of event attendees. A good catering delivery service, however, does have this experience, which has been carefully refined over several years. A professional service will not only efficiently provide great food for your meeting, but they will do so without making a single mistake. As such, people with food allergies are less likely to accidentally receive a meal they cannot eat, and vegetarian foods will be carefully prepared separately from non-vegetarian options. When you choose catering for your event, you’re making a sound investment. This is because the cost of food, utensils, and your time can add up fast. These costs extend well beyond what you would have spent on catering delivery, and you still don’t get any of the benefits listed above! 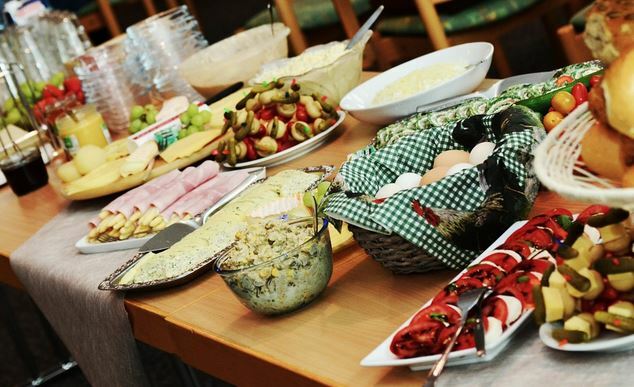 The savings gained by having your fresh catering delivered to your location can free up money from your meeting’s budget to spend on other important things! If you want your corporate event or meeting to run smoothly, you should consider choosing catering delivery services as a convenient way to feed your staff and clients. Having your food delivered on-time and ready to be served can go a long way towards making sure that your event goes well and everyone enjoys their meal! Contact Select Sandwich today to talk with us about our event catering options.